The Blockchain Society Lab, an initiative of the Peace Innovation Institute, researches how Blockchain based systems can serve as an operating system for society and achieve a greater degree of collaboration - hence contribution to peace - between the different stakeholders of society. The Peace Innovation Lab at Stanford researches how technology and technology based-businesses can foster collaboration and create pro social, value creation behaviors between people, across difference boundaries. Through that work a clear definition of desired collaboration has emerged - mutual benefit in excess of the cost of engagement. In that case peace not only becomes sustainable, it becomes scalable. Hence, for any system to increase its chances to have a positive impact, it should be designed that people want to collaborate, because there is a mutual benefit, that is greater than the cost of engagement. By setting up the Blockchain Society Lab, we acknowledge that Blockchain technologies have some promising features to decrease the friction in societal processes and transactions, and that a blockchain technology can become a core piece of an operating system for society, which connects public and private actors, individuals, business, machines, and other elements with an identity in a new way. However, it is clear, that blockchain as a single technology, will not enable anything by itself. Our hypothesis is that a convergence of different technologies - such as blockchain, IoT and Artificial Intelligence and Deep Learning in particular - will have disruptive effects on many industries and society as a whole and that we need to think about certain consequences and risks before and as these systems are designed, and develop the appropriate governance and monitoring systems to ensure we are moving towards the desired states or visions of a better and AI enhanced life. As we can see from the last few years, the development and deployment of technologies through some of the most prominent businesses of our lives today, doesn't create a better world or better society and more peace by default or automatically, but can come with some unintended consequences, not matter how good the intentions and values of the founders are. To ensure that we are moving towards increased benefits on a broad scale, the right governance and security systems need to be designed and implementations need to be measured and monitored in a transparent and open way. This becomes even more important, as we are moving into an era of Artificial Intelligence, where AI systems take over more and more parts of our lives, and we trust these systems with our lives as we are for instance sitting in self driving cars or we are confronted with DAOs, distributed autonomous organizations that once deployed follow their governance model as coded, which should allow interference, correction and contain also a stop or delete button, as GDPR requires. We believe, that the blockchain sector and its technologies with the related cryptographic innovations will deliver interesting features, that can be used to design more democratic and resilient governance structures for our digital society with its digital actors, objects and processes/ transactions. As it is still early days for these developments, that might eventually converge into the next generation of the internet, a Web 3.0, a lab is the right format to research if and how the blockchain society related hypothesis are true and how or under which conditions they can be true. 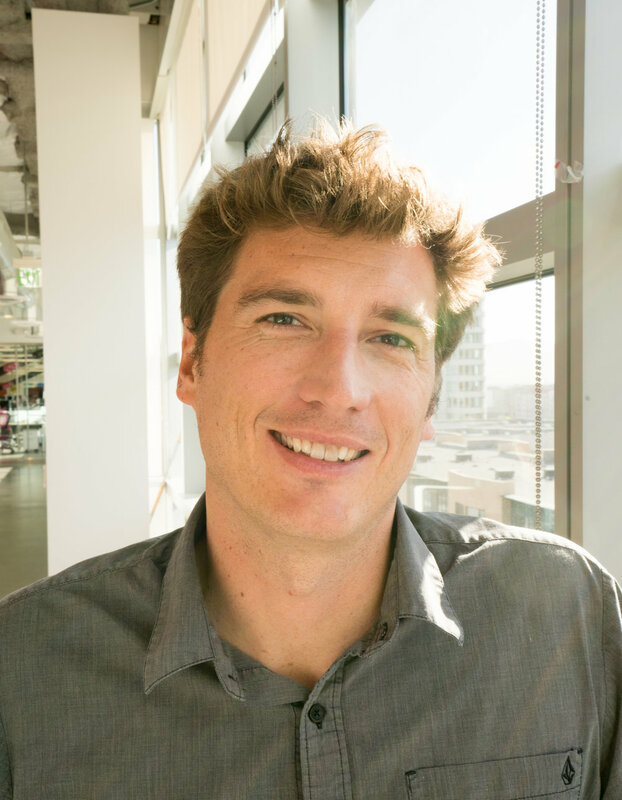 Sacha is an entrepreneur in residence at Stanford Peace Innovation Lab; Angel & Advisor in all things mobile; former Facebook Mobile, Vodafone Group and T-Mobile. With over 10 years of mobile experience at Vodafone and T-Mobile, Sacha was recruited by Facebook to establish and manage hundreds of carrier partnerships. He launched ‘Facebook Zero’, with 100 carrier partners, to empower millions of people to connect together with zero data charges on mobile. Julian is trained in engineering and management sciences and has extensive experience with strategy and business development and business model innovation. His current efforts are focused on blockchain applications and businesses in renewable energy management, mobility and finance and the development of ecosystems that comprise the respective token economies. He is dedicated to contribute to frameworks and systems that ensure the positive development and application of these technologies for the benefit of society.